Tom Clyde: Where did 50 years go? Next week is the actual 50th anniversary of the opening of Treasure Mountain Resort. We know it today as Park City Mountain Resort. I wasn’t there for opening day because Santa Claus didn’t bring my skis until Christmas, and the lessons didn’t start until some time in January. During the first few years, I had ski lessons from the likes of Mel Fletcher and Harry Reed, people who became friends in entirely different contexts decades later. So I missed the first month or so, but have skied there every year since. That mountain is home. Time flies when you are having fun. For something that has been such a big part of my life, I have almost no photographs of it, especially from the early days. My parents didn’t ski, and little kids didn’t walk around with cameras in their pockets like they do now. So memories are a bit scattered, and the years blur together. There are some things that really stand out. There was much anticipation leading up to the "resort." It had been in the news in Salt Lake for a long time as United Park City Mines tried to find some other line of business to keep them alive. My family lived in Salt Lake, and had the ranch out in Woodland. Park City was halfway, if we took the detour from Kimball Junction rather than staying on Highway 40. By the way, the road through Parleys Canyon at that time was 2 lanes, with parts of it widened to 4 lanes. We sometimes had to stop for sheep to cross at Jeremy Ranch. The mega interchange at Kimball Junction was just a stop sign. There was a gas station there, and Kilby’s Welcome Inn was down the road to the west a ways. 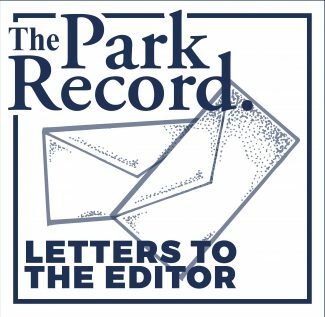 My father was fascinated by the idea of the transformation of a very decrepit Park City into something else, and followed the resort proposal closely. I don’t think he believed it was going to work. We would drive through Park City to check the progress of construction during the summer of 1963. The base of this grand enterprise consisted of the gondola building and the attached day lodge. They seemed dramatic with their 1960s alpine architecture. What’s surprising to me now, looking at photos, is how small it was. Somehow, in a building the size of a house in the Colony, they had the day lodge, Wolfe’s Sporting Goods, a cafeteria, restrooms and the ticket office. It was all stuck out in the middle of an open field. On a slow Saturday, you could park on what is now the plaza. The other buildings all came years later. The gondola building/lodge was all alone. Miners Hospital was still in the original location (now Shadow Ridge), and the original Silver King motel, a cinder block beauty, flanked one end of the parking lot. The C’est Bon hotel with its genuine Polynesian restaurant, complete with rain showers, and its scandalous stripper bar, was at the opposite end. And that was about it. 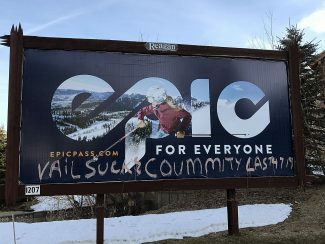 Town — Park City — was very disconnected from the resort. There were some old houses in various stages of falling over along Park Avenue, and a few on Norfolk and Empire. The library was still operating as the high school, but that really marked the north end of town. Park Meadows was farm land, Prospector a tailings pond. There were a couple of roadside businesses at Park Junction. I have a photo Dad took when he was dropping me and a friend off to ski. From the age of the car and the fact that I wasn’t driving, I’m guessing early high school. We are standing in the parking lot, and the camera is pointing to the north. In the distance, the McPolin barn is there. In between the resort parking lot and the barn is farm land. A yellow construction crane jumps out, maybe the beginnings of the Payday or Three Kings condos. The highway, 224, was in its pot-holed, frost-heaved, cow-manured, 2-lane glory. Riding the gondola was the most exciting part of the day for me. I endured the skiing, but lived for the gondola ride. I was a pretty awkward kid, and skiing was my parents’ idea of something that would be good for me. The excitement of riding the gondola in the morning offset the terror I felt coming down the Drift at the end of the day in a wide snow plow, with hundreds of other skiers bombing past me. I swear it was no more than 6 feet wide. But the gondola was as good as Disneyland. And then 50 years happen. Congratulations to the generations of people who have worked at the resort and made it all possible, and thanks for a lifetime of great memories.